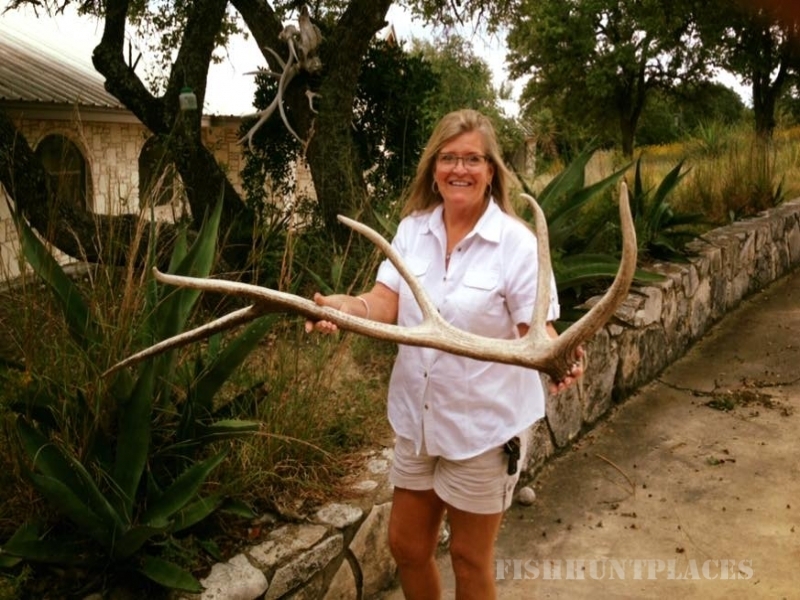 Escondido: A Texas Hunting Ranch! Perhaps you are old enough to remember the good old western movies with the ruggedly beautiful, gently rolling Texas type scenery in the background of the cattle drive or the weary rider heading off into the sunset. 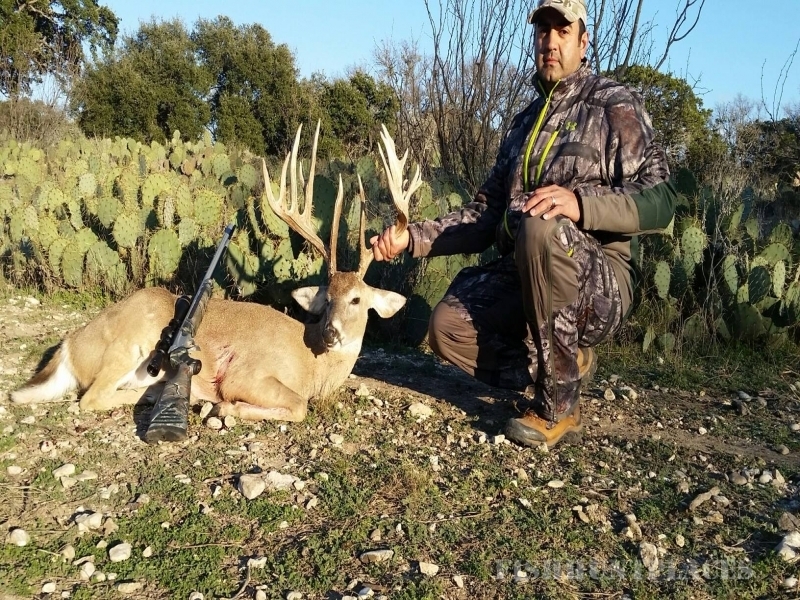 Escondido Ranch, located in south central Texas is exactly like that Hollywood version of the Old West, complete with mesquite brush, hills and wooded areas, and the low canyons perfect for those early morning hunting opportunities. In addition to hunting there is also the option to go fishing on over 2 miles of a spring fed river that runs through the property. This riverbed also provided excellent options for hunting wild hogs, Rio Grande Turkey as well as exotic hunts. Being at this Texas hunting ranch is both breathtaking as well as relaxing and rejuvenating. It is almost impossible to imagine you are just a few miles of the beaten path as it is quiet, serene and beautiful. 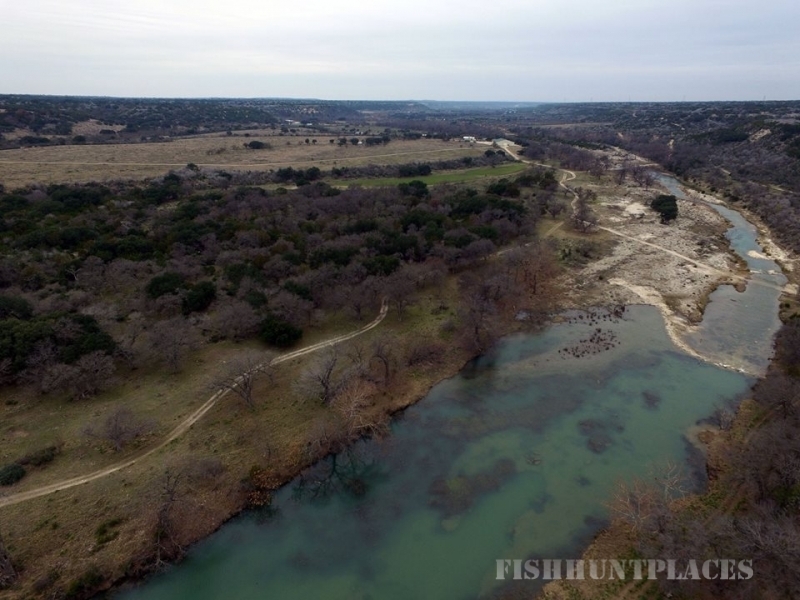 Escondido boasts over 1,240 acres of high fenced native and exotic Texas hunting ranch property that has been under game management since 1980, ensuring that the stock on the ranch is ideal for hunting. All hunts on the property are done from blinds that are located on known traffic areas for the different species that make their home on this outstanding Texas hunting ranch. The very knowledgeable and professional guides are all local hunters that really know the habits as well as the patterns of the different species on the ranch. 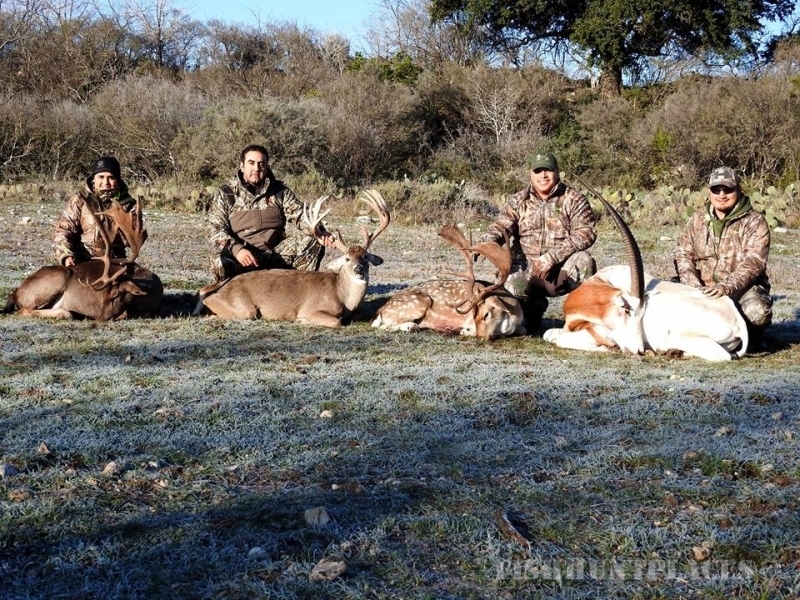 Since the guides are so experienced and the staff at this Texas hunting ranch is fully committed to giving hunters the best hunt possible they have nearly 80% success rate. The cost of the hunt includes cleaning and quartering game, making this task much easier for the hunter at the end of the day. Some species of animals are shot only in specific seasons and those are the native Texas species. Game with a set hunting season includes Whitetail bucks and does, Rio Grande Tom Turkeys and bull Elk. All other exotic species including Axis deer, Fallow bucks, Black buck antelope, Sika bucks, Aoudad sheep, Russian boars, wild hogs and cow elk can be hunted year round. This constant hunting season allows hunters to either get into shape before the seasonal hunts or stay in good hunting shape year round. Exotic species such as those found on Escondido Ranch can be hunted year round since there is no legal restrictions on hunting non-native species. 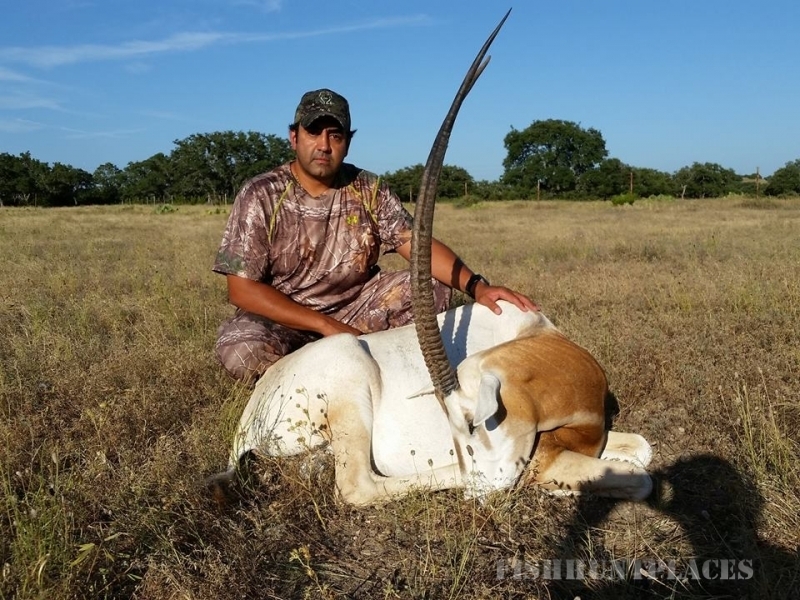 It is up to the game manager on the private Texas native and exotics hunting ranch to monitor their herd size to ensure that there are sufficient breeding adults left in the herd to continue to increase and expand the population. This control allows the game managers to successfully control how many bucks and does are hunted each year without damaging the herd for future years. Segovia and Junction, Texas, are the closest towns to our hunting ranch. These small rural communities boast affordable accomodations and eating establishments, all served with the Southern hospitality. For those hunters that are bringing non-hunting friends and family members there is lots to see and do just a short drive down Interstate 10 into historic Kerrville or even over the German settlement area of Fredericksburg.